Having a functional commercial garage door opener is crucial to conducting a successful business. If your warehouse garage door or other type of commercial garage door will not open when your garage door opener is activated, it’s an inconvenience. But it can also be quite costly. If the garage door is closed and not responding to the garage door opener and your work crews can’t get in or out through the garage door, or cannot move inventory in or out, your business may grind to a halt. If your garage door is open and will not close in response to the garage door opener, your inventory and equipment may be vulnerable to thieves and vandals. In addition, there’s a safety issue. When commercial garage door openers are working intermittently, the door may suddenly spring to life. If there’s equipment or inventory in the door area when this happens, it may be damaged, and if there are people underneath it, they may be seriously injured. Finally, there’s the issue of professionalism. If you bring investors or potential clients to your facility, you want your building’s doors to open when you press the opener button. 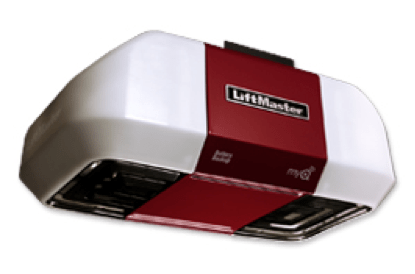 If you’re looking for a quality commercial garage door opener in Bloomington, MN, O&L Door Systems can help. It’s important that you have a fast, efficient garage door opener repair service on hand. For example, a garage door that sustains physical damage from an accident or bad weather can interfere with a garage opener’s functioning. That’s why, in addition to expert installers of high-quality commercial garage door openers, O&L Door Systems also offers skilled technicians who can provide fast, quality repair service for your commercial garage door opener in Bloomington, MN and the surrounding area. O&L Door Systems provides same-day service and is familiar with all major brands of commercial garage doors and commercial garage door openers. And because we know that when your garage door opener does break down, you need it fixed fast, and not necessarily during business hours, we offer 24/7 emergency repair service. If you’re ready to install commercial garage doors and commercial garage door openers that are top-of-the-line, or you need a repair, contact O&L Door Systems for fast, friendly and reliable garage door service now.